It might surprise you to discover that I have other hobbies besides reading (gasp!). Not that I've engaged in some of them much over the past few years, but still, I want you to know that I'm more than just a reader/blogger. I'm a well-rounded (literally and figuratively) book nerd! The good folks at Brightech, a Los Angeles lighting company, offered to send me a free magnifier lamp (in exchange for an honest review) that would be perfect for one of my hobbies—cross-stitching. I eagerly accepted their generous offer. 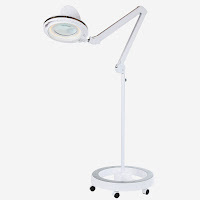 Because I cross-stitch (and read) most often while sitting in a recliner, I chose the LightView Rolling Base Magnifier Lamp, which features a dimmable LED magnifying light on a long swing arm. This element, plus the six-wheeled base, makes it easy to move the lamp to the exact position I need. It's simple to place it over my head, over my shoulder, or wherever it works best to light up the project on which I'm working. The brighter settings are perfect for needlework, especially since my aging eyes have trouble seeing fine details. It would also work well for any other craft, hobby or repair project that requires magnification. For reading, I prefer one of the softer settings so that I can see the words on the page without straining my eyes. Despite the bright light, you won't feel any heat coming off the lamp, which means you can enjoy reading or crafting without sweating to death! I used to have an Ottlite lamp in a similar design and had been considering replacing it when Brightech contacted me. Since the LightView version does everything my Ottlite did and more, I'm very pleased with it. The product was simple to put together (my 13-year-old son did it for me), looks nice, and has lots of great features that make it very useful. It's solid and well-constructed, which lets me know that it's something my family and I will be using for years to come. Right now, the lamp is on sale for $108.99 with free shipping since it's over $50. While that may seem a little pricey, it's cheaper than similar Ottlite products. 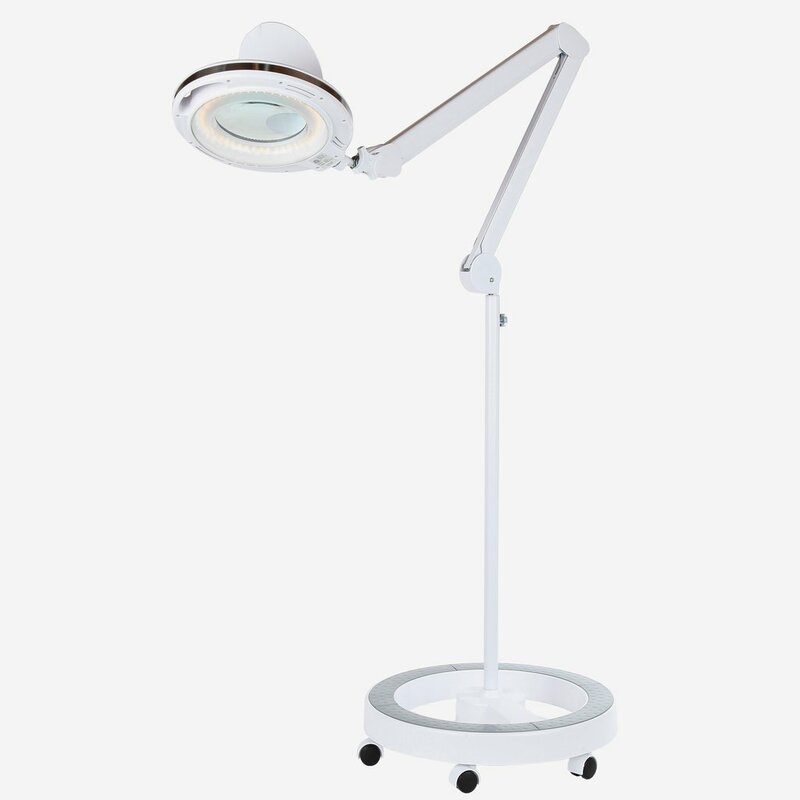 If you don't love the LightView Rolling Base Magnifier Lamp, never fear—you can return it for free. If you do, you'll be happy to know it comes with a 5-year warranty, just in case. I've been very happy with this lamp and would definitely recommend purchasing one if you're in the market for a high-quality magnifying lamp to use while enjoying your favorite hobbies.